The flood walls protecting much of the inner city are 8.2 feet high, and Saturday's high tide is expected to reach 8.5 feet. "It is clear that although the high tides haven't reached 2.5 meters (8.2 feet), it was high enough to prolong the suffering of those living outside of the flood walls and to threaten those living behind deteriorating walls," Bangkok Governor Sukhumbhand Paribatra said. 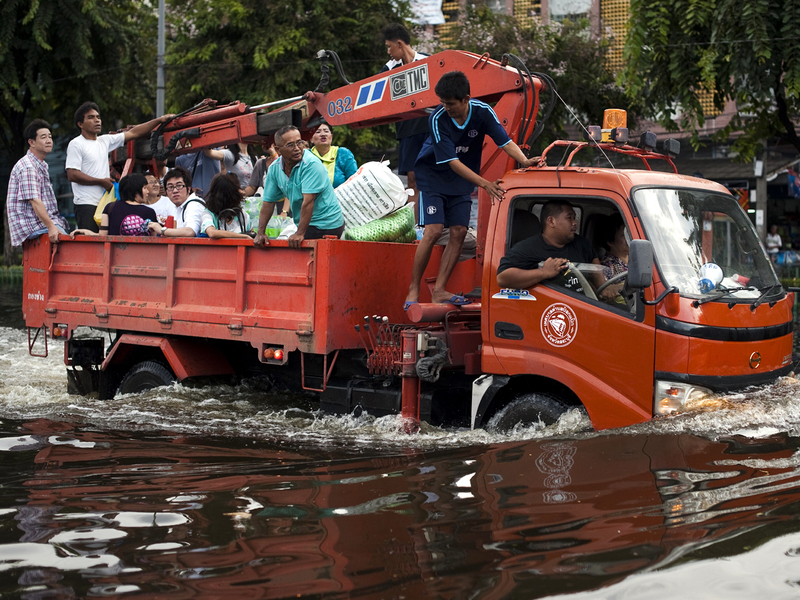 Seven of Bangkok's 50 districts  all in the northern outskirts  are heavily flooded, and residents have fled aboard bamboo rafts and army trucks and by wading in waist-deep water. Eight other districts have seen less serious flooding.